The SPL4000 Bolt-on sensor is widely recognised in the lift industry as a proven form of overload monitoring on passenger and goods lifts. It’s rugged design and exceptional performance makes this one of the most sought after products for this application. 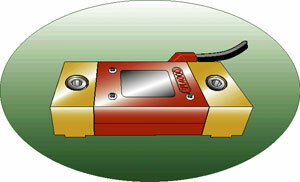 Our sensor is also used in many other areas of industry, such as tank weighing. It’s versatility is only restricted by the engineers imagination. 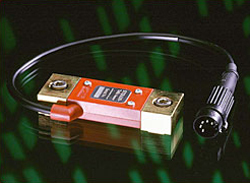 Straintek’s SPL4000 bolt-on sensor is the culmination of extensive research and development over a number of years. The result is an easy to fit product that requires no special fixtures or alteration to the structure you want to monitor. The bolt-on is machined from high-performance tooling steel which is thermally compatible to most cast and structural steels in respect of temperature coefficients. The machined sensors are heat treated to give you, the customer, optimum performance and stability. The SPL4000 sensors are cycled through a wide variation of temperature changes and are compensated against and thermally induced errors. The sensor body has an ABS plastic moulded cover and is potted with a two part polyurethane encapsulate to give superior protection against moisture ingress and shock vibrations. Each sensor is fitted with 2 meters of four core screened polyurethane cable. 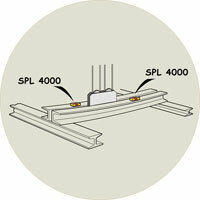 With stringent quality control procedures implemented, the SPL4000 has proved a reliable form of load measurement. Successful applications include overload monitoring on elevator lifts, cranes, towing winches and hydraulic load presses that are widely used within the motor vehicle manufacturing industry. The range of applications for which this product may be used is limited only by the imagination of the engineer. Recommended Excitation 8 volts D.C. Maximum Excitation 15 volts D.C.